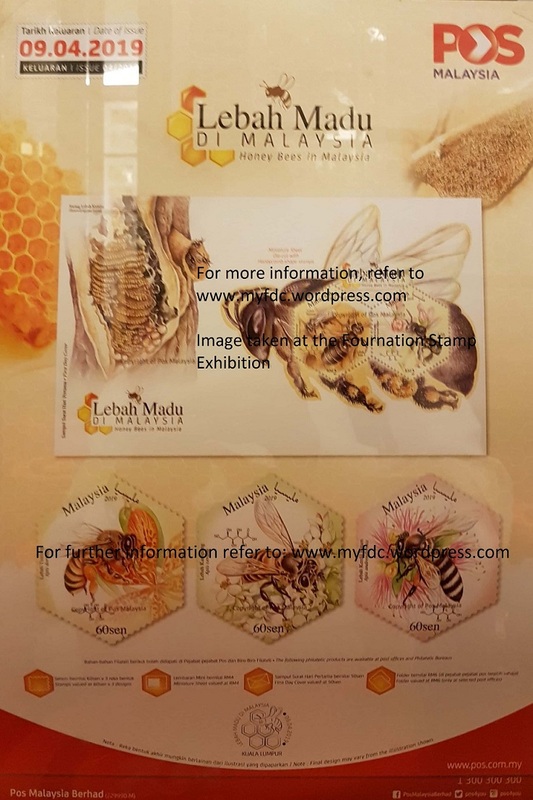 A poster was displayed at the Fournation Stamp Exhibition 2019 with the theme Honey Bees in Malaysia. The official notification came out today from Pos Malaysia and it will be released on 09 April 2019. 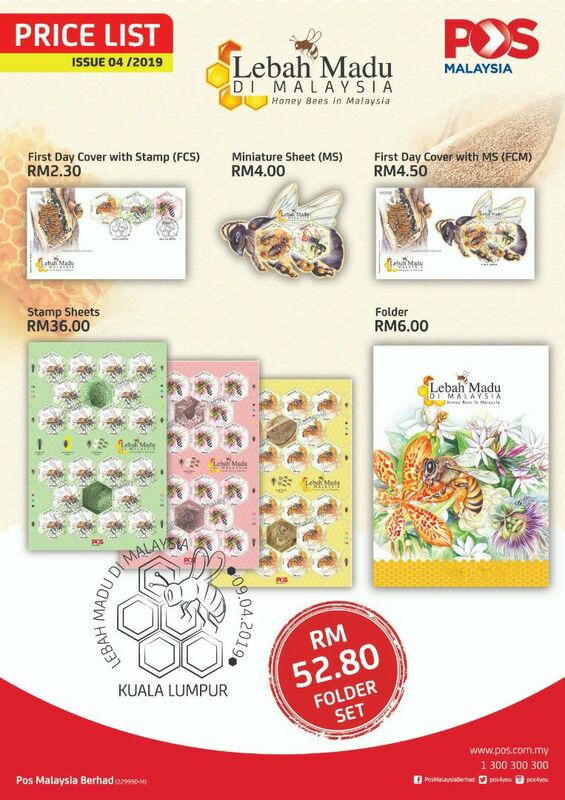 The poster featured the stamps in a Honey Comb design (hexagonal) with the Miniature Sheet featured in an awesome die cut of a honey bee. I am sure the “unusual” stamp and MS collectors will be very pleased with the design of this issue. This is indeed a very attractive design. Here is the price list.